From growing tender turnips, to identifying squash from seeds to measuring trees using a Biltmore stick. Find out about the opportunities that wait! 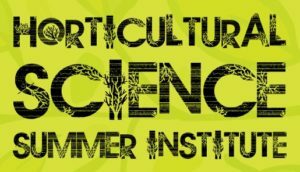 The Horticultural Science Summer Institute is an exciting opportunity for high school youth to learn about the world of North Carolina Horticulture! The Resource Conservation Workshop is a week-long, residential program at NC State for teens to explore ideas in the natural world. The North Carolina Youth Institute is part of the Global Youth Institute and World Food Prize and provides a platform for students to research and give recommendations to solve key global challenges that range from food insecurity, access to potable water, poverty, human rights and more. 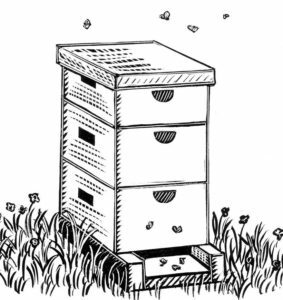 The beekeeping essay provides youth with an opportunity to share their knowledge and understanding of beekeeping, honey bees and their relationship with the agricultural and natural world. Stalking squash vine borers, digging for bess beetles – these adventures can lead to creating an insect collection that is eligible for youth to enter in the North Carolina State Fair. Presentations give youth the chance to explore stories about plants, soils and bugs that interest them! Stalk the elusive, parasitic piratebush, grow your own hobbit house, create a collection of soil crayons from across the state, the possibilities are limitless! • Due to Demand, We Added Another Pollinator Garden Workshop & Garden Tour!